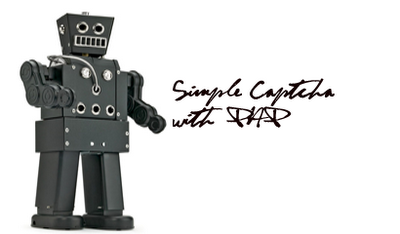 Simple Captcha With PHP | Web and mobile development tutorials. Captcha! When you sign up for some web site or when you post some comment on blog, you might see one extra field where you need to fill it with the character from an image over there. Do you ever think why is this for. Captcha is used as antispam plugin. If no Captcha for your webSite signup page there is change that number of Span bots may fill your database with junk data. In today’s PHP Tutorial Let’s create a simple php captcha script. It is totally free PHP Captcha Script you can download it from below download link. 1)we will generate a random string and store it in php session. 2)We will generate a Image with help of php ImageCreate function. On that Image will put the random string we had generated. 3)Finally we will show that image to user when user enter data we will check it againest data which we stored in php session. In above markup observer that we have used captcha.php as image tag source. That means our captcha.php will generate an image and display it over there. That’s it hope you like it. Like what you're reading? Get these posts delivered to your inbox.